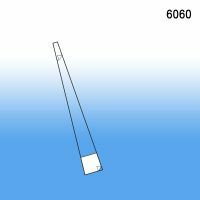 Aisle Violators and Flag Position Sign Holders | Clip Strip Corp. 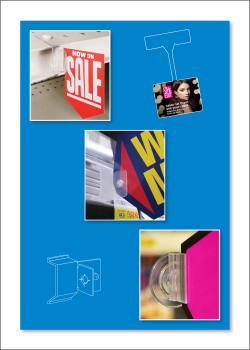 Gaining the attention of your brand or a specific product grouping at retail by a customer is paramount for in-store success. The choices they have are abundant and to stick out in this crowded retail environment you need a "retail billboard". 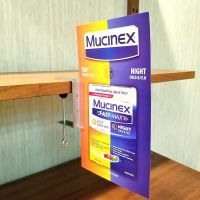 A sign that protrudes into the aisle and does not interfere with product on the shelves is a great solution. As customers walk down the aisle, from either direction, they will see your sign. We carry aisle violator flag position sign holders that clip into the price channel, adhere to displays or uprights, clip into warehouse style upright teardrop holes, many use our Gripper teeth Grip-Tite™ system to attach where applicable, snap into perforations in the shelving, use magnets to attach under the shelf creating a flag sign position holder, c-clamp style versions, sign holders that slide over data strip protective facings, we even carry an aisle violator for glass or windows that use suction cups. For longer signs, aka Blade signage, most of the time it requires 2 sign holders to attach to 2 shelves etc to keep it secured propeerly, please keep that in mind. 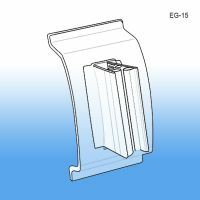 Clip Strip Corp. carries a large selection of SIGN HOLDERS, if you aren't sure what you need, request FREE SAMPLES by logging in here or call us TOLL FREE at 1-800-425-4778. Join our newsletter and gain acces to discounts, new product introductions and great Point of Purchase industry content from POP Fuel, our Retail environment blog. Minimum quantity for "Grip-Tite™ Sign Holder, Flag Position, EG-15" is 100. 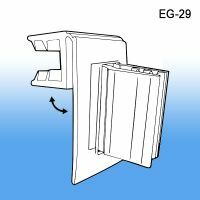 Minimum quantity for "Grip-Tite™ Wood Shelf Data Channel Sign Holder, EG-33" is 25. 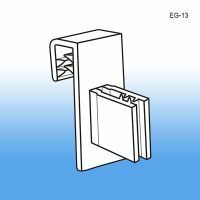 Minimum quantity for "Grip-Tite™ Wood Shelf Data Channel Sign Holder, EG-35" is 25. Minimum quantity for "Grip-Tite™ Suction Cup Flag Sign Holder, EG-22" is 50. 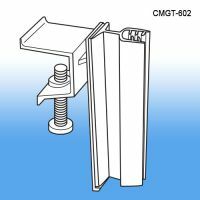 Minimum quantity for "Channel Mount Grip-Tite™ Flex Hinged Sign Holder, .100" Capacity, CMGT-601" is 25. 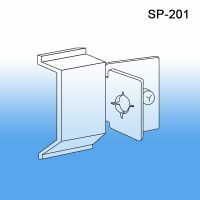 Minimum quantity for "Self-Piercing Shelf Perforation Flag Sign Holder, SPL-200" is 100. 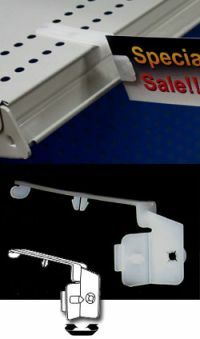 Minimum quantity for "Channel Mount Grip-Tite™ Flex Hinged Sign Holder, .100" to .250" Capacity, CMGT-602" is 25. 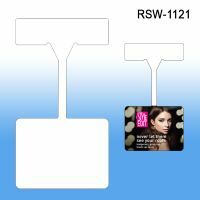 Minimum quantity for "Rectangular Shelf Wobbler, Custom Printed, RSW-1121" is 50. 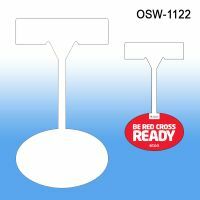 Size: Overall: 4.625" Wide x 8.5" Tall / Oval Header: 4.625" Wide x 3 Tall"
Minimum quantity for "Oval Shelf Wobbler, Custom Printed, OSW-1122" is 50. Size: Overall: 4.625" Wide x 8.5" Tall / Oval Header: 4.625" Wide x 3.5 Tall"
Minimum quantity for "Sunburst Shelf Wobbler, Custom Printed, SSW-1123" is 50. 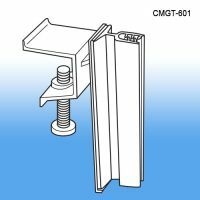 Minimum quantity for "Channel Mount Grip-Tite™ Sign Holder, .100" Capacity, CMGT-603" is 25. Minimum quantity for "Channel Mount Grip-Tite™ Sign Holder, .100" to .250" Capacity CMGT-604" is 25. 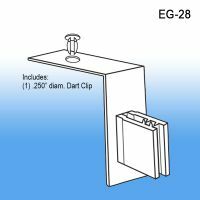 Minimum quantity for "Grip-Tite™ Hinged Flag Sign Holder for 1/4" Shelves, EG-29" is 50. 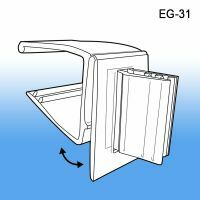 Minimum quantity for "Grip-Tite™ Hinged Flush Sign Holder for Thin Shelves, EG-30" is 50. 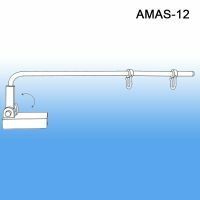 Minimum quantity for "Adjustable Magnetic Aisle Sign Holder, AMAS-12" is 1. 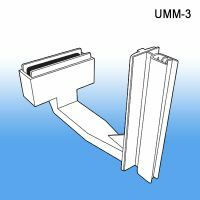 Minimum quantity for "Magnetic Under Shelf Mount Grip-Tite™ Sign Holder, UMM-3" is 1. 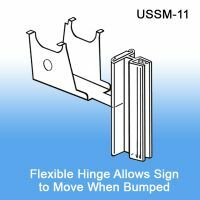 Minimum quantity for "Under Shelf Spring-Mount Grip-Tite™ Sign Holder, with Hinge, USSM-11" is 1. 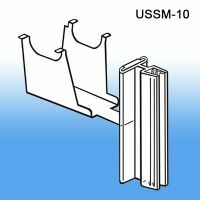 Minimum quantity for "Under Shelf Spring-Mount Grip-Tite™ Sign Holder, USSM-10" is 1. 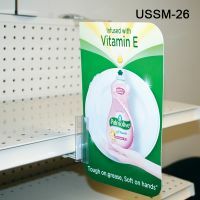 Minimum quantity for "Under Shelf Spring-Mount Grip-Tite™ Sign Holder, with Hinge, USSM-25" is 1. 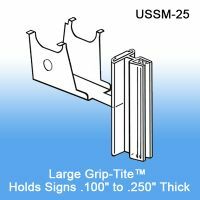 Minimum quantity for "Under Shelf Spring-Mount Grip-Tite™ Sign Holder, USSM-26" is 1. 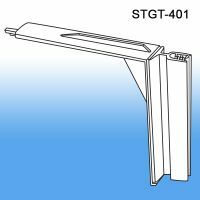 Minimum quantity for "Shelf Top Grip-Tite™ Flex Hinged Sign Holder, .100" Capacity, STGT-401" is 10. Flex hinged with Grip-Tite™ capacity from .100" up to .250", creates a flexible sign holder off a gondola. 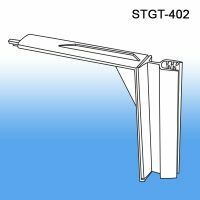 Minimum quantity for "Shelf Top Grip-Tite™ Flex Hinged Sign Holder, .100" to .250" Capacity, STGT-402" is 10. 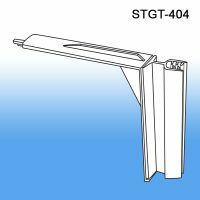 Minimum quantity for "Shelf Top Grip-Tite™ Sign Holder, .100" Capacity, STGT-403" is 10. 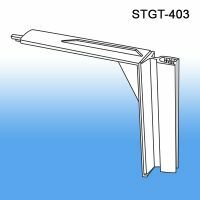 Minimum quantity for "Shelf Top Grip-Tite™ Sign Holder, .100" to .250" Capacity, STGT-404" is 10. 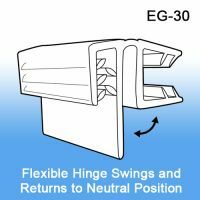 Minimum quantity for "Grip-Tite™ Square Edge Long Sign Holder with Hinge, 3" Long, EG-58" is 25. 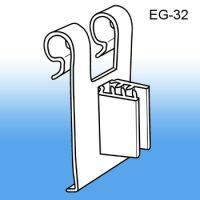 Minimum quantity for "Grip-Tite™ Wire Display Flag Position Sign Holder, EG-32" is 50. 2"L x 3/4"W (overall), attach with dart clip to shelf perf. 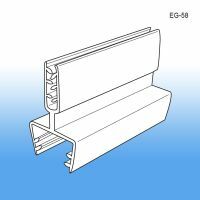 Minimum quantity for "Perforated Shelf Gripper Flag Sign Holder, EG-28" is 50. 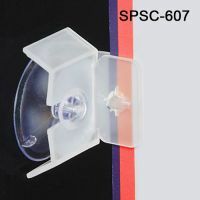 Minimum quantity for ""Snap and Hold" Suction Cup Flag Sign Holder, SPSC-607" is 50. 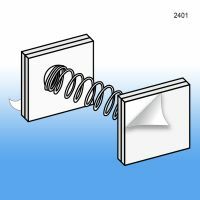 Minimum quantity for "Spring Wobbler Sign Holder, 2401" is 25. 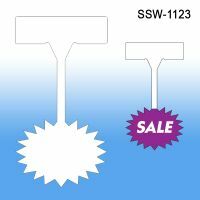 Minimum quantity for "Self-Piercing Channel Flag Sign Holder, SP-201" is 100. 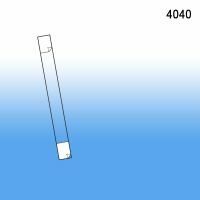 Minimum quantity for "4" Wobbler, 4040" is 100. 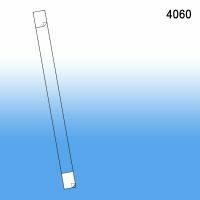 Minimum quantity for "6" Wobbler, 4060" is 100. 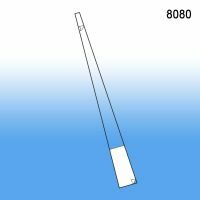 Minimum quantity for "8" Tapered Wobbler, 8080" is 100. 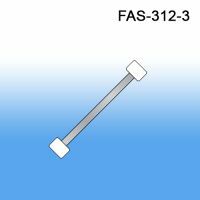 Minimum quantity for "3" Flexible Aluminum Sign Holder, FAS-312-3" is 100. 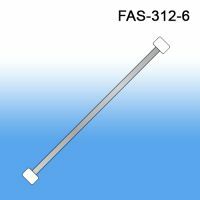 Minimum quantity for "6" Flexible Aluminum Sign Holder, FAS-312-6" is 100. 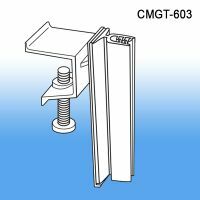 Minimum quantity for "Grip-Tite™ "C" Clamp Flag Position Sign Holder, CCMA-03" is 1.